Eddie Vedder kicked off a European solo tour in Amsterdam on Saturday night. Reeling from the death of his longtime friend and collaborator Chris Cornell, the performance was said to be an emotional one, with Vedder playing several songs in tribute to the Soundgarden singer. “The show was pretty much entirely about Chris without directly mentioning him. It was clear Eddie couldn’t bring himself to talk about it head on. He spoke a little how the healing process can start with music and made numerous references to how sad he was and how much he and his friends were struggling. Guns N’ Roses kicked off their 2017 summer tour at Slane Castle in Ireland on Saturday. Near the middle of the set, after ripping through a bunch of their greatest hits, the band took a moment to honor Chris Cornell with a cover of Soundgarden’s “Black Hole Sun”. Watch fan-shot footage below. “This one’s for you Chris,” the band tweeted prior to the performance. This one’s for you Chris. 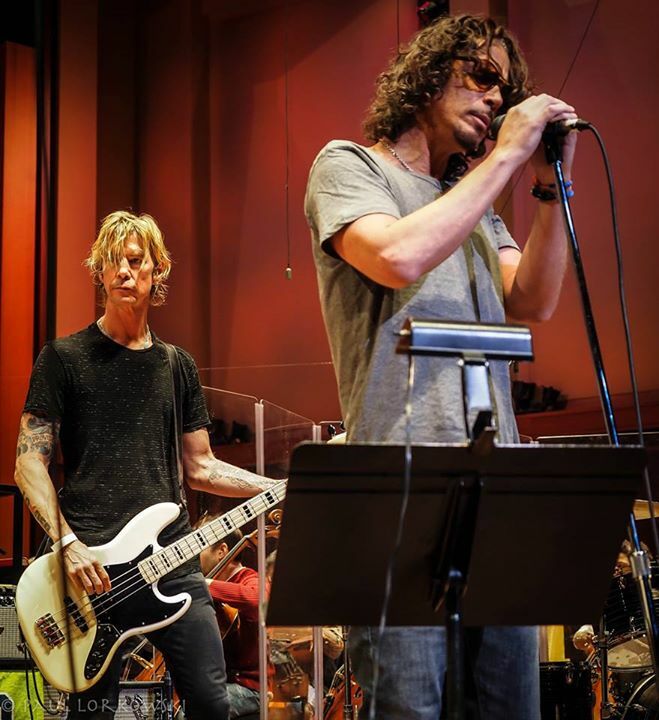 In 2015, GNR bassist Duff McKagan collaborated with Cornell as part of a Mad Season reunion performance staged by surviving members Mike McCready and Barrett Martin and also featuring the Seattle Symphony Orchestra. Metallica are currently on one of the most anticipated tours of the season as they support their latest album, Hardwired…to Self-Destruct. During a concert near Boston last Friday, however, the metal rockers took time out of their set to remember fallen grunge legend Chris Cornell. As Metallica were wrapping up a performance of “Halo on Fire,” bassist Robert Trujillo launched into a solo bass version of Soundgarden classic “Black Hole Sun”. Though brief, Trujillo knocked it out with both admirable focus and reverence. Listen to it on Metallica’s Instagram account. 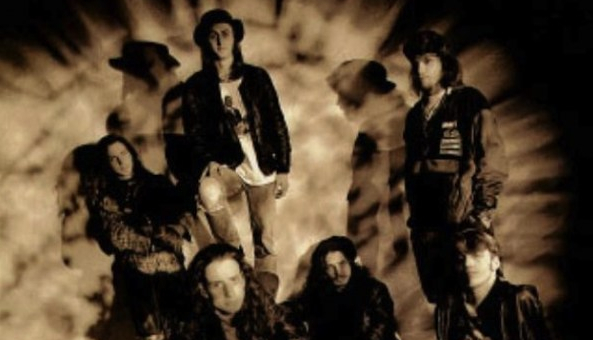 After the master tapes of the band’s self titled album have been returned by Rajan Parashar (the brother of late Rick, the producer) to A&M Records, it is believed that the record label is planning the deluxe reissue to commemorate the 25th anniversary of release. You can read more about it here. 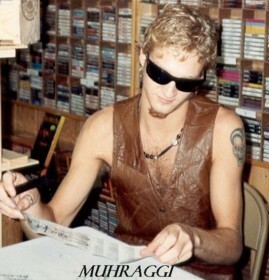 “I don’t know what the answer is with the re-release of the record, but I would love to do something for the anniversary. That’s kind of Cornell’s thing. 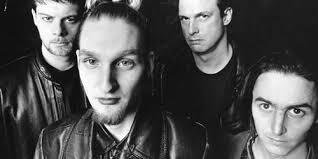 “When I was asked to do that [performing at the Mad Season reunion], what came next was listening to the original recordings, which was listening to Layne sing in headphones over and over to learn it, and feel like I really knew it. That was kind of unexpected, I don’t want to say dark, but it was tough, because I hadn’t really done that. 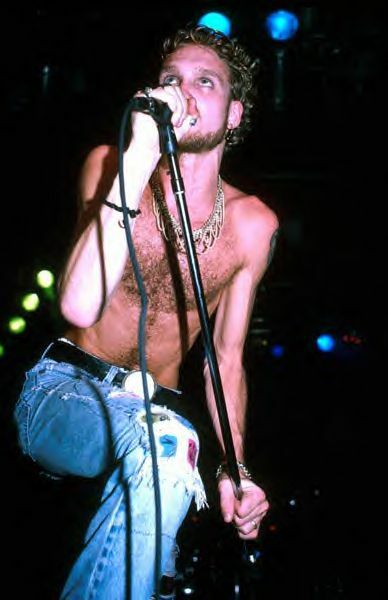 Listening to his voice intimately, and sing those words and sing those songs, it definitely sort of forced me to reckon with what happened in his life, and the fact that he’s not around anymore. I think that’s tough for everybody that knew him, as it is for anyone that loses someone who is a friend that is young, or that affects your life, just fans of his even. 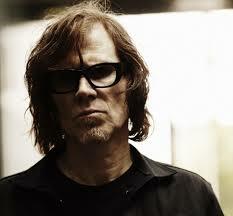 Why Mark Lanegan isn’t there? !